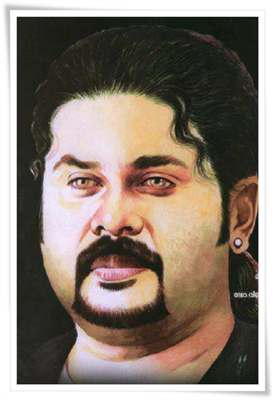 Manthrika Thakkol 3D malayalam movie directed by popular photographer Ramachandra Babu will feature Dileep in lead role. After wrapping up the mega show 'Dileep in Australia', the actor would return to Kerala on 5th May. He will later undergo the basics of magic from magician Gopinad Muthukadu. Anil Mukhathala has written the story while the movie is produced by Sanal Thottan under the banner of New TV visual solution. Manthrika Thakkol will start rolling in June. Janapriya Nayakan Dileep who is known for his commitment and dedication had appeared in more than 120 movies while most of the projects shouldered by him proved to win the hearts of the family audience. The actor had proved his mettle on silver screen has a huge line of fan followers and spectators who do eagerly wait for each of his new ventures. Dileep is on cloud nine after being casted in lead for popular photographer Ramachandra Babu directorial debut 'Manthrika Thakkol'. This malayalam 3D movie written by Anil Mukhathala will be produced by Sanal Thottan under the banner of New TV visual solution. After wrapping up the mega show 'Dileep in Australia', the actor would return to Kerala on 5th May. He will later undergo the basics of magic from magician Gopinad Muthukadu. It would be for the first time a super start doing a throughout movie in the history of Indian Cinema. Dileep who had done a lot of experiments with his character roles through various movies will be seen in a special getup in 'Manthrika Thakkol'. He would don the character role of Dr.Vignesh. More interestingly the character will have a long pony tailed hair, French beard and beautiful eyes. Dr.Vignesh after completing his P.hd in psychology pools into the world of magic which brings a lot of twists in the movie. Toughed as a crime thriller and musical entertainer, this movie would be loved by children and family audience. The movie which starts rolling from June will be finished in two schedules at Thiruvanthapuram and Kochi. Ramachandra Babu is an established cinematographer who had worked in more than 125 films including malayalam, tamil, telugu, Arabic and English. His first colour film was Dweep released in 1976 which won him the first Kerala State Film award for best cinematography. Meanwhile Dileep who is riding high over the grand success of My Boss, Kammath & Kammath and Sound Thoma will be joining the sets of Telugu movie Baba Sathya Sai directed by Kodi Rama Krishna in September. The role would be the biggest challenge for the actor one considering the late godman's unmatched fame and popularity. Dileep will be playing the godman Baba's years from the age of 25 to 85. With locations set in various places from Kanyakumari to Kashmir including Puttaparthi and Himalayas, the shooting schedule of the movie would be the longest one in his career. Actress Jayaprada dons the role of his mother in Baba Sathya Sai, while the movie will be made in Telugu, Tamil and Malayalam.